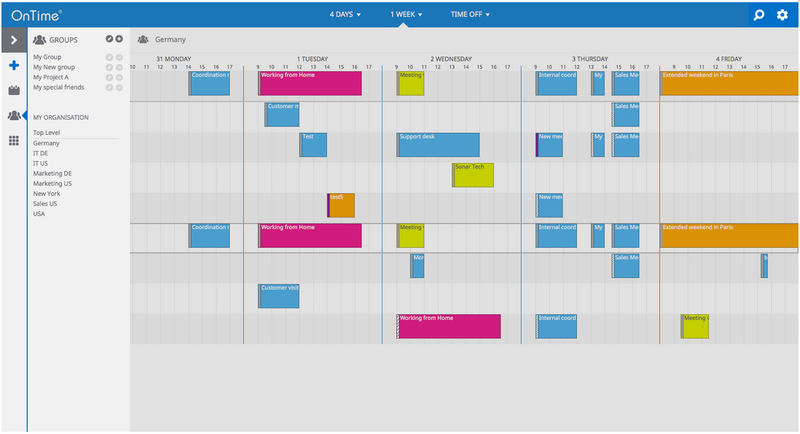 This Group Calendar will allow a user full overview and enable them with strong coordination skills to make decisions much faster. With OnTime you can easily move between short and long termed focuses with flexible daily and weekly views, and you can switch your focus between viewing either few or many people in your views. And with the Time Off view of your department you can also easily coordinate and manage the absence of you and your colleagues. Get all the necessary information that you need in order to schedule and coordinate with your colleagues. 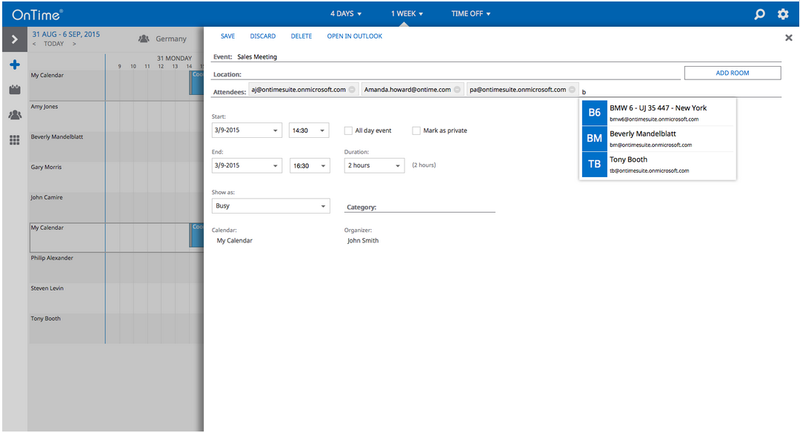 By using the advanced Group filter or making your own in OnTime you can easily and quickly navigate through your whole organizational structure. 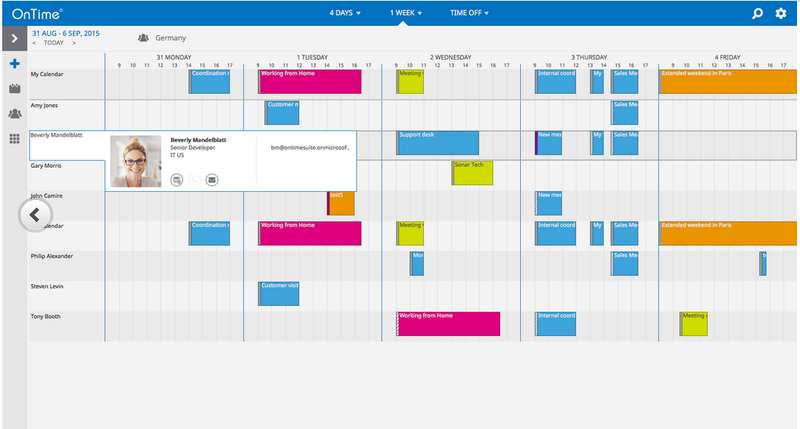 In OnTime you are able to easily book your colleagues, rooms and equipment in seconds. And the system is fully integrated with your Microsoft calendar.